In a blunt lecture on Monday at Marquette University in Milwaukee, Wis., Archbishop Diarmuid Martin of Dublin made what to my mind is a stunning admission about the sexual abuse crisis in the church: With perhaps "two exceptions" he has "not encountered a real and unconditional admission of guilt and responsibility on the part of priest offenders" in his diocese. That is, the abusive priests in his diocese, with only a few exceptions, do not seem remorseful. A few years ago I participated in a panel discussion at a New York City teaching hospital, with several psychologists and psychiatrists, on the abuse crisis. (I was more or less the token Catholic priest, asked to speak to the crisis not from a psychological but an ecclesial point of view.) One psychologist offered a riveting presentation in which he stated that the two most common attributes of an abuser are narcissism and grandiosity. The narcissist, as he explained it, does not see the other person's needs as at all important; only he (or she) needs to be gratified, and only his (or her) needs matter. The grandiose person, in these cases, is often the "Pied Piper" around whom gather many children and whom parents feel comfortable leaving their child with. I remembered the psychologist's observations when I read Archbishop Martin's lecture. Apparently, the narcissistic traits impinge on remorse as well. It is not ideology, but the very basic facts of the vast majority of this abuse. In any case, I was just commenting on in interesting trend in the APA manual regarding disorders that have played a role in this crisis. Archbishop Martin, and Bishop Geoffrey Robinson (retired) of Sydney, are two small candles lighting the black darkness caused by those who govern the Roman Catholic church. Are there other candles out there? Will they be able to light more candles? One can only hope, for the sake of the people of God, that they will eventually be enough who see the light, and then become the light, that the darkness in the church may someday give way to light. This statement does not only apply to the abuser - the molester. It applies to those who govern the church, to all of those in the hierarchy and in Rome (including the current pope and his predecessor) who chose to protect the institution - to put the ''needs'' of the institution above all, and did not see the needs of the victims as being of the slightest importance. And, too many in the hierarchy of the RCC still don't. The darkness may be with us for a very long time. I was surprised to see a posting that focussed on the offenders instead of the hierarchy and was going to post a facetious comment to change the subject to the hierarchy, but Anne beat me to it with what I suspect is not intended to be dark humor. I'd like to see this thread tack back to the individual perpetrators, because without their acts, the biships would not have been put in the precarious situtation of how to deal with them. But I do have a question about those who divert the issue to the hierachy: what do they propose to do with the bishops? Oust the current lot and replace them, or dispense with the hierachy completely? As I see it, the problem is not that there is a hierarchial structure, the problem is that organizations of any sort, be they the boy scouts, the public schools, corporations, fraternities, etc.... regardless of management structure are always faced with the dilemma of how to handle bad behavior of individuals while simultaneously protecting their organizations. How many of your demanding the heads of the Pope and "hierarchy" had any respect for the bishops BEFORE the scandal broke? I would wager....few. In my experience the scandal has become a perfect excuse for those who despised the hierarchy for other reasons (doctrinal and moral dissent) to excuse themselves for the wrath they've always felt but couldn't express. Tell you what....are we willing to apply to every OTHER institution and ourselves the criteria of judgment and corporate guilt we're so eager and swift to apply to the Bishops and Pope? Thousands of public school teachers abuse children each year in the USA alone. Shall we sack ALL their supervisors, principals, educational experts, administrators etc. and the NEA as 'just retribution'? No of course not. After all, "education" is considered essential! If we sacked all the administrators, all the bosses of the unions, gutted their institutions and gave all our trillions as vouchers to parents to homeschool or send their children to private academies....well, that just wouldn't be just. But it's OK to sack the Pope and bishops for failure to know everything, failure to hop to and rectify everything instantly, perfectly, with zero mistakes? Perhaps this is because we don't consider the hierarchy, the priesthood of the Catholic Church as essential, so what's a little bloodshed or defrocking of Popes, cardinals, bishops, and priests to create a "congregationalist" model of ecclesia? Unless of course we happen to actually BE Catholics which means we accept the Gospel message that Jesus gave unto only certain men and their successors his great commission to preach, teach, and share the Spirit to those they would be sent to as his representatives? Wrath does not justify ANY action. The protection of children does not justify ANY assault or hue and cry for vengeance. Jus ad bellum doesn't make every act in bello to be just.... so just because a class of men include some who are malicious doesn't make the whole class guilty. Or the class itself bad. Meanwhile anyone note how LITTLE wrath is directed at the actual monsters who raped the children? It's all skipped over and poured out on bishops and "the hierarchy" ex post facto with the presumption they KNEW EVERYTHING (which has never been established). I hear that A/B Martin and his stance has lost support of his diocesan priests to a very large extent. That Martin is still not made a cardinal says yells out that Rome does not 'get it ' either. The good thing is that he is, as he should, spending most of his time preaching to the non-clerical choir. The vast majority of the clerical choir is tone-stone deaf anyway and don't they look ridiculous with fingers in both ears.? Seewald: "It is not only the abuse that is upsetting, it is also the way of dealing with it. The deeds themselves were hushed up and kept secret for decades. That is a declaration of bankruptcy for an institution that has love written on its banner." BXVI: "The Archbishop of Dublin told me something very interesting about that. He said that ecclesiastical penal law functioned until the late 1950's; admittedly it was not perfect–there is much to criticize about it–but nevertheless it was applied. After the mid-sixties, however, it was simply not applied any more. The prevailing mentality was that the Church must not be a Church of laws but, rather, a Church of love; she must not punish. Thus the awareness that punishment can be an act of love ceased to exist. This led to an odd darkening of the mind, even in very good people. Today we have to learn all over again that love for the sinner and love for the person who has been harmed are correctly balanced if I punish the sinner in the form that is possible and appropriate. In this respect there was in the past a change of mentality, in which the law and the need for punishment were obscured. Ultimately this also narrowed the concept of love, which in fact is not just being nice or courteous, but is found in the truth. And another component of truth is that I must punish the one who has sinned against real love." The Pope’s responses to Seewald’s probing questions about the abuse scandal occupy an entire chapter in the book. The responses will likely not satisfy everyone, but at a minimum they provide revealing ‘top down’ insights into the Pope’s current thinking about the scandal. You ask what to do with the hierarchy. There are several steps that are needed. First, there should be some sign from Rome that dereliction of duty that causes harm to innocent young people is not to be tolerated. Somemeaningful gestures that show that those who govern the church are going to do more than repeat meaningless assurances, and spend the rest of their time casting blame on everyone except those responsible. The pope could begin by removing Cardinal Law from his prestigious posts and sending him to work in the field - perhaps with those who are victims of a variety of abuse - women and children especially. The pope then should ask for resignations - also as a symbol. There are still a number of bishops heading dioceses who were as guilty as Law - McCormack for one (now in the news). Rigali obviously comes to mind. O'Brady of Ireland. These men could also be put to work where they will not enjoy cushy lives at the expense of the people in the pews. Secondly, and more important for the long-run, the pope should call for a commission that would include ordinary priests, ordinary laity - especially parents - victims, as well as members of the hierarchy. Appointing Archbishop Martin and Bishop Robinson to head this commission would make a powerful statement that Rome is serious about this and not just playacting for the cameras. This commission would be tasked with developing policies that clearly define what bishops must do when confronted with an abusive priest - it should also clearly define what will happen to the bishop if he fails to protect the innocent under his care. He will be asked to resign, and he will be given another assignment. Also, the commission could begin work on finding a way to have the bishops be accountable to THE church, rather than simply to the Vatican, just as they were in the early church. There should be some way for the people of God to be able to initiate investigations and even to ''recall'' a bishop, just as we can ''recall'' a politician in extreme circumstances. There should be a formal process that ensures that bishops and other hierarchy will invite the insights of THE church on a scheduled basis and report back to them (just as executives must do with their stockholders), and hopefully will listen to them. Bishops are afflicted with the same dangers that the pope and those in Rome face, and that face many in political leadership and in executive suites in industry as well - they become so isolated from the ''real'' world, protected, all communications vetted and censored before reaching the top, so used to luxury paid for by others, and surrounded by those who fear challenging them, that they become arrogant and far more concerned about protecting their own privilege than protecting those who depend on their honesty, integrity and morality to do the ''right'' thing. Executives can be fired - some have gone to prison. Politicians have to face reelection or even recalls. Heads of schools can be fired, and also have to face legal authorities if they hid child sexual abuse among their staff. Those are the bare outlines. But until there are clear policies in place that indicate that the buck stops with the bishops (and if the bishops fail, with Rome), that the bishops must meet both the legal and moral obligations of reporting possible criminals to the legal authorities, and immediately removing the possible abuser from any ministry involving children until the legal investigation is complete, and, if necessary, a trial has been held to determine guilt or innocence. I know of few organizations that tolerate the degree of malfeasance in its executives that the leadership in Rome has tolerated. This includes the current pope and his predecessor. (the Santo Subito nonsense should be stopped in its tracks as well). However, even if it is far too late, the pope could still demonstrate that he is willing to do all that is necessary to ensure that future priest-abusers must face the legal authorities and they will not be protected by their bishops. Anna, you assume too much about the Church. For starters, the Pope is not the President of the United States. He doesn't have 14 intelligence agencies. His "inquisition", the CDF has some 40 key personnel to handle doctrinal issues from a billion person church. Now, if you are raising the call for the re-installation creation of a truly robust Inquisition (Ecclesial Bureau of Investigation EBI), then fine. So even if some local case is notorious and 'public knowledge' it's not a given that "Rome" will know about it. (And thus failure to act is not automatically proof of malice). Believe it or not, the USA isn't the only church in Catholicism. How would JP2 have known that this or that prelate, this or that priest was guilty of crimes later revealed to be heinous only when hard evidence was finally obtained? Until hard evidence was discovered Maciel had enemies but none could prove his guilt. What was JP2 to do? Sack someone for having enemies? Being wrong about someone is not the same thing as being complicit in their secret evil. Infallibility is neither impeccability or omniscience. Similarly you can't assume Cardinal Law knew everything but simply decided not to act. You might assume he SHOULD HAVE KNOWN....but honestly, in an archdiocese the size of Boston, if the monsignor in charge of these cases didn't share the dossier with him....how would he have known? Secrecy cuts both ways - up and down. We just have an unrealistic assumption about how information is shared within local chanceries and across national lines from local to Rome and back. It's not like "24" and prelates don't watch CNN or check blogs every half hour. Maybe they should...but they don't. As for the hierarchy/clergy crisis the scandal provokes, its due to the haste to drop any accused without due process. They're presumed guilty and immediately suspended. No other profession is given this treatment and it has traumatized the clergy and made them feel vulnerable from above and vulnerable from 'below' by laity and an always hostile secular world. But if they were to be given the treatment meted out to every other profession.... the law suits would come fast and furious. Finally, what to do? The proven guilty need permanent institutionalization in a place they cannot harm minors. But that's an expensive proposition that neither the secular world not church is broaching. But before an accused is proven guilty....how do you protect the innocent and presumed innocent? How do you ferret out an active predator who is, as we've come to realize, very good at disguising intentions etc.? The Church has and is vetting all personnel with contact with children. The Church is revising seminary formation and post-ordination policies and proceedures. There are local, national, and international commissions. The Bishops do talk now among themselves about best practices. But scape goating people and calling for sacrificial lambs to bear the burden for other peoples' sins.... yeah, that's not exactly what the Church is all about. It's what we ARE for the world's redemption, but ad intra, among one another, I am not to crucify my brother Peter to expiate Paul's sin. problem is ever since Christianity became fashionable the hierarchy has been more like an empire than a service community. Hierarchy who will wash the feet of the disciples is what it is all about. Instead we have titles; your grace, your excellency, eminence, supreme pontiff, etc. The whole message of Jesus is on humility. Hierarchy first as Jesus demanded. And of course we all know that homosexuality was also removed from the DSM (due to political lobbying and the action of a lone editor) in the 1970's. I think I see a trend: disorder is the new normal. First, I think we already have noted at this blog that blamimg the abuse scandal on homosexuals is not in keeping with the way criminal justice professionals understand the issue -it's ideology being proposed. Abp. Martin notes not only the abusers, but the hierachs who didn't want the truth out and fellow clergy who "didn't notice." He scores the young priests and seninarians of today for a growing problem with the clericalism issue involved in this! Abp. Dolan's coments, noted above, don't seem to offer much in restorin gjustice. I would suggest that you set aside some time - a lot of time - to read the documents (pdf files) (read them - not about them, but the source docs) related to the Boston cases, including diocesan documents and witness testimonies - Cardinal Law knew, McCormack knew, several others knew. The information is all there in the court records. The documents turned over to the courts, the testimony, etc for Philadelphia (the first set) are also freely available and all of those who wish to pretend that these bishops are fully innocent should read them. There are many and it will take a lot of time, but by researching, you can pull up only the most relevant (and damning). If you do, you may find your stomach turning at times though. Fair warning. After Boston and Philly, most bishops, including Cardinal Mahoney, agreed to huge settlements with victims in order to keep the documents away from the courts and to avoid being put in a position of testifying under oath. If it weren't for the civil justice system, we would know even less than we do. Bishops are still fighting the courts to keep their secrets, secret. A bishop in Connecticut took it all the way to the Supreme Court of the US. He lost. I do not entertain any hope whatsoever that anything will be done (including any of the steps I outlined above) to hold bishops (past, present, or future) responsible and accountable for actions they take that cause irreparable harm to others. However, if the church is to be what is should be EVER, these steps should be taken. BTW, the charges against Maciel were first heard even before JPII became pope. Ratzinger clearly knew when he was investigating them in the 90s, until someone - his boss (the pope) we presume told him to stop the investigation. The pope also did not want to see the truth because Maciel and his order were "orthodox", recruiting a lot of new priests, and, most importantly, among the leaders in the church at fundraising. Those who have followed that story closely would not be unjustified in assuming that the "safety" of Maciel was more important to JPII than learning the truth about him was. I’ve read Archbishop Martin’s lecture notes twice and I encourage everyone who has not read them to do so. I have found them to be very helpful and balanced (and incredibly heartbreaking) and I hope that his recommendations are taken seriously and implemented. For those who spontaneously want to smear Pope Benedict XVI or Pope John Paul II, I highlight this section of Archbishop Martin’s talk because it clearly outlines the reality that exists: My requests to retrieve all existing documents on child sexual abuse from current and former diocesan officials went at times unanswered even after repeated requests. In one case I saw diocesan documents for the first time when I was asked by the Government Commission of Investigation to comment on them, having been told that the Commission had made discovery of these documents from a former diocesan official. This dispersal of information and the lack of communication between various authorities in the diocese contributed very significantly to the misreading of the seriousness of the behavior of some offenders. With all due respect to Fr. Martin, in my experience, I have found a large number of people (men, women, priests, nuns, etc.) who work in the Church to be narcissistic and filled with what I call an “I don’t care if X wants that, I’ll do what I want” attitude. Lastly, I would like to read transcripts of the other speakers talks. Archbishop Martin was the first bishop who said that ''the sexual abuse of children was, is, and will always be a sin and a criminal act.'' In the United States, our bishops apparently were the only ones that didn't know that sexually abusing anyone-child or adult-was a criminal offense. People claim that the ''times were different'' and that the bishops should not be judged by today's standards. Today, the bishops now know that the sexual abuse of children is a criminal act as well as a sin, so we should forgive them for their ignorance. That type of thinking reflects what Archbishop Martin means, I believe, by a clerical culture. Let’s give the bishops a pass. Hopefully, his vision of forming priests within the context of their interacting with lay women and men will begin to stamp out that type of thinking. Archbishop Martin was criticized by his priests for turning over documents on predator priests. I am sure that some of those same priests are also angry that these predators have damaged the priesthood. They cannot have it both ways. In contrast to Archbishop Martin's openness, our bishops have stonewalled and hired expensive lawyers to prevent lawyers for survivors and prosecutors access to documents which clearly show a cover-up by the bishops. Until the bishops face the truth and like Archbishop Martin really listen to the survivors, nothing will change. No bishop has had the courage to admit he deliberately protected predators or the decency to resign. There is no “zero tolerance” for bishops. Justin Regali is a prime example that bishops can still do whatever they want. Unfortunately, unless the clerical culture goes, we will see no future Archbishop Martins. The lack of unconditional admission of guilt and responsibility goes all the way to the Pope's tepid response to this horrendous crisis. However, it took centunies for the Popes to admit that they were wrong regarding Gallileo and the culpability of the Jews for the crucifixion. I don't expect any serious action from this pope or even the next one-robably not from any high-level Vatican bureaucra-in my lifetime. For Dolan, it’s all about him, his wound, his anger, his shame. And for McCormack, the same; it's some priests who disillusioned him, his suffering, his wounds, his sorrow, hisanguish. The sentiments are the same. 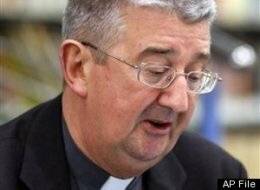 McCormack considers himself exempt from having caused alienation or a 'clouded' view of himself as bishop. 'They' just refuse to see the goodness in the church. It's how 'it' (the scandal) affected others. The passive voice again, not how 'I did not tell the truth to survivors, covered up sexual abuse and criminally endangered children.' That is the reality he denies, just as perpetrators deny and are not remorseful for their crimes. McCormack told our group in 2004 that the scandal was the 'passion of the church' and described himself as a 'victim.' He also emphasized that he did nothing legally or morally wrong. . He actually disputed that any of his decisions led to a child being abused - barring one minor incident. There was no sign of understanding by McCormack of the real human suffering he caused. Such entrenched self-delusion is sad if not tragic in a bishop. I have zero patience with bishops/cardinals/popes who fail to own their culpability in the scandal. Here is real suffering I saw this week, standing outside the chancery for a press conference about McCormack's threat to 'out' a victim who filed a lawsuit. * It's part of his ongoing intimidation tactics. Above all retaining their confidentality, I just want to refer to two survivors who came to the chancery with us. They had never done anything like that before. One's hands were shaking; the other stood back around the corner of the chancery as he got very sick to his stomach, and could not stop its emptying. We thanked them repeatedly for their courage in offering to be there, and spoke of taking back their power. It was an honor to meet them. Listening to the decades of horror they experieced, and still experience, with health problems, sleep, fear, and more, I looked up at McCormack's office. He will shortly enjoy all the honors of a retiring bishop, as his replacement is named. Banquets perhaps, receptions, some puff pieces in the local papers, photo spreads, God help us. This while he today ignores the pleas of another survivor suffering from depression, thoughts of suicide, anxiety, and the fear of what public disclosure will mean to his children who do not know of his abuse; the reactions of co-workers, family members, and the burden of his wife's current treatments for breast cancer; the stress on her at this vulnerable time. The court, and the diocese and religous order named as defendants, all know his name and address, but McCormack insists that information appear in the text of the lawsuit now. McCormack alone plays legal hardball, trying to throw his case out of court. The Oblates (OMI's) however don't want ''to cause more pain'' and agree to let the case go forward as a John Doe prior to trial. Read all about it below. McCormack continues to be a disgrace to his office. The hierarchy, far as we can see, cares not a whit about his shameful conduct here (a whole other story). We filed a solid canon case for his removal and that of his auxiliary Francis Christian in 2003, (McC's equal in NH for 19 years), that was of course totally ignored. The diocese bought him a plush condo for his retirement, when we had hoped he would leave the state. No meaningful accountability or consequences for McCormack; just promotion to higher office. "Tell you what....are we willing to apply to every OTHER institution and ourselves the criteria of judgment and corporate guilt we're so eager and swift to apply to the Bishops and Pope?" If they claim to be acting in persona Christi - yes! If they claim to be Servants of the Servants of God - yes! If they claim to be the Vicar of Christ on earth - absolutely yes! Brett: shall we now Kill the Queers for Christ? Maria Byrd (#22) is right. It should also be noted that just because narcissism is not in the DSM manual (Brett #10), does not mean that there are no narcissists. They exist, and they infuriate, and the only way to deal with them is to stop caring about what they think. Thank you so much for taking the time to educate all on the full extent of this man's activities. I have been aware of some of it, but not all. His actions continue to be disgracefu. Brett Joyce said: "I think I see a trend: disorder is the new normal." It's a small point, but the elimination of Narcissistic Personality Disorder from the DSM-V will not mean that people currently diagnosed with the disorder will be declared "normal." They will simply be categorized using another diagnostic scheme. Whether it is a good one or not, I don't pretend to know. On the other hand, homosexuality was formerly considered a disorder, and now it is not. So the two changes in the Diagnostic and Statistical Manual are quite different. If anything, modern medicine nowadays is accused not of declaring disorders "normal," but of declaring "normal"problems, habits, aches and pains, emotional reactions, etc., to be disorders. Carolyn - what’s the thrust of chapters 5 and 6 in the book you mentioned? If Chapter 6 is the usual “let’s get rid of celibacy”, then I think the book is a waste of money for me. I read the reviews (and the pages one could see on Amazon) and I am suspicious but I am willing to entertain looking at the book if it's not one of the usual subversive let's remake the Church books. Jim: I invited you to that conference - it was a day of sacred space. Bishop Martin's admission should surprise no one in the Church - it is unfortunately paradigmatic of offenders. The offenders never have been the problem. The hierarchy's cover-up - ongoing - is the real problem. As my recent National Catholic Reporter article - http://www.ncronline.org/blogs/examining-crisis/where-catholicisms-tahrir-square - suggests, it is time for ALL priests and ALL Catholics to construct a Tahrir Square and to assume the power that is theirs to insist on. The passivity of priests and laity enable the ongoing cover-up of crimes comitted by men enabled by their bishops and provincials to eat the sheep. But - will anyone rally stand up? I, for one, will stand up for Jesus and His One True Church and not follow the path of those who broke away and continue to break away. The Church needs faithful reformers! Call a spade a spade - if one is an apostate, say so; if one willfully denies the teachings of Christ as mediated through His Church, say so; don't stay and deceive people like the con artists that were and still are in the Church. "Since the appearance of her book, I think it would be true to say that if one were to do a search of things she has written one would not find anything approaching a balanced view of the Catholic Church. I have done that search and found nothing. So, I ask, where does this anger come from and what damage is it doing to the Church? If her commentaries were balanced, if she had decided to stay within the Church, I might be led to believe that she is truly working to build up that Church where I have been such "a good company man." Unfortunately, I just haven't seen that. Dr. O'Dea has helped many people and has rendered the Church a service in addressing the issue of clergy sexual abuse. However, I feel she has lost perspective and cannot see the Church except through the anger she maintains." No need to waste money on this book! I'd rather read Fr. Jim's book or "Jesus f Nazareth" any day. oops - typo - "I'd rather read Fr. Jim's book or "Jesus of Nazareth" any day." I don't know why but I always find "former Catholics" to be the most anti-Catholic - has anyone else had the same experience? Pedophiles and Priests: Anatomy of a Contemporary Crisis by Philip Jenkins. Thank you, Mary Gail, for your 25 years of bringing hope to countless survivors of sexual abuse; for your oustanding research, and even trying to bring insight to all those bishops who listened to you in 2002. Your expertise is hard won. It was a delight to meet you and your daughter back in Boston those years ago. Please keep on being there for us drained Catholics. Juan L L. have you joined the 'get out of the Church' crowd? Who runs the membership list of that group? Ed- I wrote: Call a spade a spade - if one is an apostate, say so; if one willfully denies the teachings of Christ as mediated through His Church, say so; don't stay and deceive people like the con artists that were and still are in the Church. How does that translate into what you wrote? If a person no longer believes they should be honest enough and say that and not deceive people by looking pious, devout, claiming to know better than Christ, etc, while all the while actively working against the Christ’s Church from the inside. I am not talking about doubt but about willful deception – which seems to be the same thing everyone else is all upset about. So what gives? FYI In and around the Catholic Church, ''apostate'', ''heretic'', and schismatic'' are pejorative terms used by righteous holders of the truth to put down others who may disagree with them. Finding a self-declared ''apostate'' is therefore fairly unlikely. It is up to a properly authorized and competent judge to declare someone an spostate. Disagreement between pursuers of the truth doesn't make the case. Jack - you certainly have a point that I may be using the words incorrectly - so help me out here. #2089 - Incredulity is the neglect of revealed truth or the willful refusal to assent to it. "Heresy is the obstinate post-baptismal denial of some truth which must be believed with divine and catholic faith, or it is likewise an obstinate doubt concerning the same; apostasy is the total repudiation of the Christian faith; schism is the refusal of submission to the Roman Pontiff or of communion with the members of the Church subject to him." All I am saying is that everyone - including me - should be able to honestly assess themselves to see if they have - for example - willfully refused to assent to a revealed truth. I agree that we may disagree about what that a revealed truth (to build on my example) but, thanks be to Christ, the CCC can help us. And I think this self-examination can be done without necessarily having an authorized and competent judge tell us what we ourselves may already know - don't you? I need to take a course in proofreading soon!! I agree that we may disagree on what that a revealed truth is (to build on my example) but, thanks be to Christ, the CCC can help us.